Have you ever wondered if the tide will ever turn? Have you thought that no one loves you? There is hope in the storm! For many life seems to bring more problems than blessings, or rather the blessings that they receive seems to turn into problems sooner than later. The good news is that Jesus came to change all of this. This portion of scripture is the one Jesus quoted when he began his ministry. Looking at these few verses you can see the heart of the Father. As I study this portion of scripture, I can feel my heart filling up with joy….it’s joy bubbling up in my spirit. Daddy God is super cool. 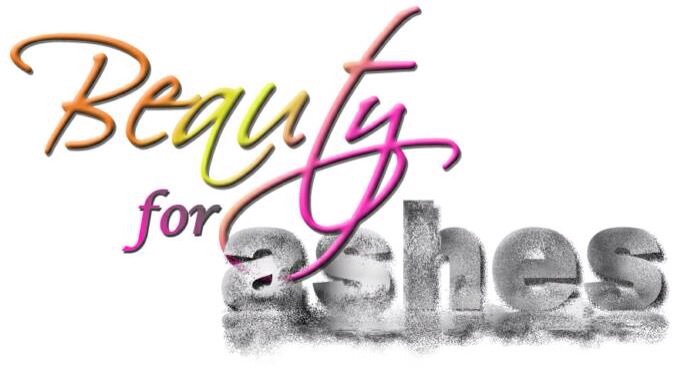 Beauty for ashes, that’s what God says, and it speaks so much. It speaks to those who are in the deepest and most lost place of their lives. Ashes mean that everything is burned down, nothing constructive remains anymore, it means nothing that remains resembles the things that were once there. It does not matter what your condition is right now, God’s word is eternal and never changes. His word speaks to us at our point of need. Oil of joy for mourning – it’s time to stop mourning and take up the oil of joy. The joy of the Lord is your strength. When you are going through a tough time, mourning over something that has happened, it is entirely up to you to either continue mourning or to stop mourning and move into the joy of the Lord. Make a conscious decision to move into the joy of the Lord, let the oil of joy flow upon you. Garment of praise for the spirit of heaviness – this is important for us to see. Heaviness is a spirit and it is not a good spirit, it’s heavy! The Spirit of the Lord does not burdensome, but a Spirit of Life. Jesus said that His burden is easy and his yoke is light…..get rid of that spirit of heaviness. Everlasting joy shall be theirs – God’s plan for us is that we are ALWAYS filled with joy….everlasting joy. We should not let circumstances rob us of our joy…our joy is from the Lord and satan or any circumstance cannot rob this joy from us. Even if it looks like you have lost the new wine, of if you have lost the harvest, it’s time for God to bring about change. Joel speaks of a very desperate situation, he goes on to say in verse 12, “joy has withered”. But the good news is that we don’t have to remain in a desperate situation, Jesus came to give us ABUNDANT LIFE. 19 Yes, the Lord answered and said to His people, Behold, I am sending you grain and juice [of the grape] and oil, and you shall be satisfied with them; and I will no more make you a reproach among the [heathen] nations. 20 But I will remove far off from you the northern [destroyer’s] army and will drive it into a land barren and desolate, with its front toward the eastern [Dead] Sea and with its rear toward the western [Mediterranean] Sea. And its stench shall come up [like that of a decaying mass of locusts, a symbol and forecast of the fate of the northern army in the final day of the Lord], and its foul odor shall come up, becauseHe has done great things [the Lord will have destroyed the invaders]! 21 Fear not, O land; be glad and rejoice, for the Lord has done great things! It’s time to get beauty for ashes and everlasting joy! This entry was posted in Grace and Truth and tagged Christ, Church, despair, hope, Jesus, joy, Liberty, Love, Mauritius, pain, peace. Bookmark the permalink.